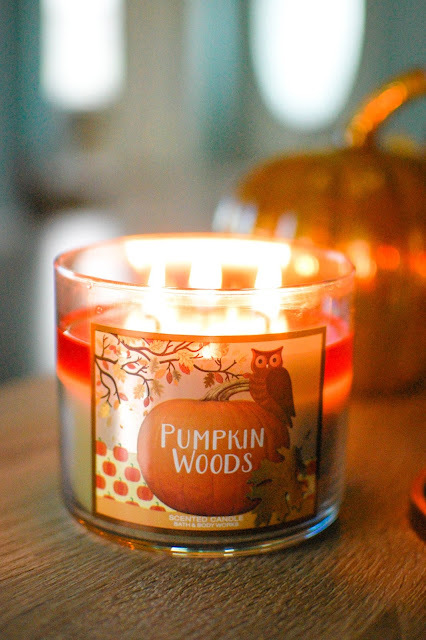 Pumpkin Woods- Woodland spruce, cedar, clove buds, smoky vanilla. 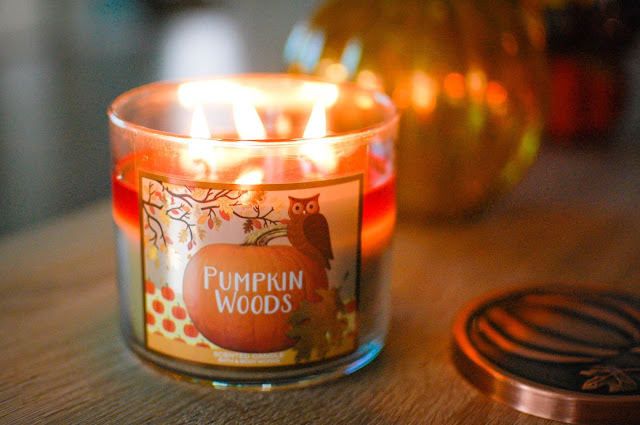 Not a single pumpkin note in this candle but I do not mind at all. It smells incredibly cozy. My nose picks up spruce bark more than the camphorous needles. Cedar chests and wooden clove subtly add dimension. The smoky vanilla curls around the woods, creeping on feathered feet. Excellent throw, without being obnoxious. Have you burned a great candle lately? I was curious about this one; thanks for the review! A bit of a bummer there was no pumpkin note, but I do love woodsy scents as well. I love woody scents too so the lack of pumpkin did not deter me at all! It would make it a year long aroma. Though it would be nice to have one with some pumpkin in it too for sure. Maybe next year? No pumpkin? Sneaky tricksy fall marketing. No great candles here yet. We finished off last year's 719 Walnut Ave Cinnamon Rolls (or whatever it was called) and now have one of last year's Glade pumpkin ones going. It's nice but nothing new or overly exciting. Definitely tricksy marketing. But I guess most people sniff these on cold before buying. I couldn't imagine blind buying candles unless I was almost certain I would like the notes. That Cinnamon Rolls one was good. Do you ever burn more than one candle at a time? I used to only do one but now I find I can do one in the kitchen and one in the living room without fuss. Or just one in the bedroom. Did you use your Yankee votives from last year yet? We only burn one candle, in the living room. I will melt tarts in the other room while hubby burns a candle though. I think the Yankee votives were all used up last year. I don't remember seeing any in our little candle cupboard when I was digging fall scents out. The owl, the woodsy, I was going to try this one and now I know for sure if it's still around my store. Thanks!